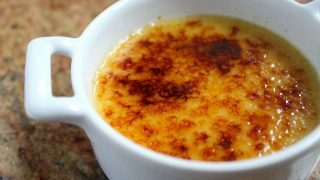 Crème Brûlée doesn’t need a special baking torch for you to achieve that crispy, caramelized, sugary hard topping. In fact, it doesn’t even require baking! 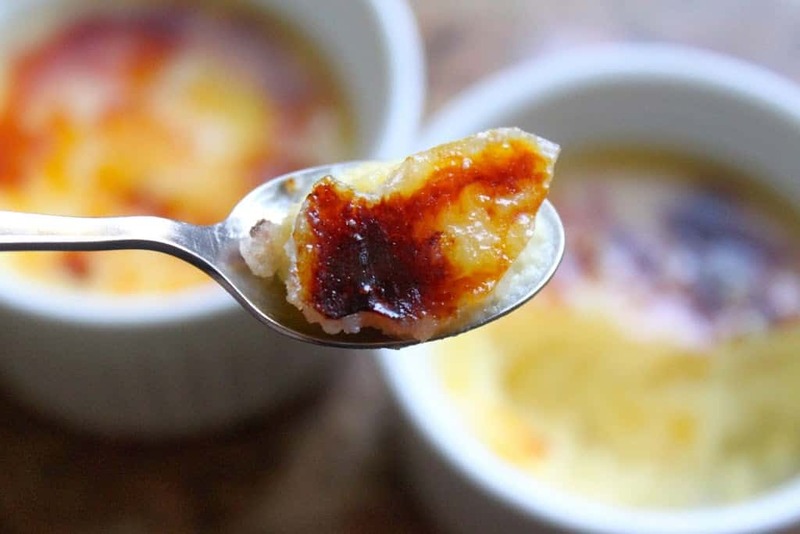 I have seen many crème brûlée recipes which require baking in a bain marie in the oven. I prefer the recipe below, because it’s solely made on the stove-top, which is a huge plus for me in the summer when I don’t want to turn on the oven. 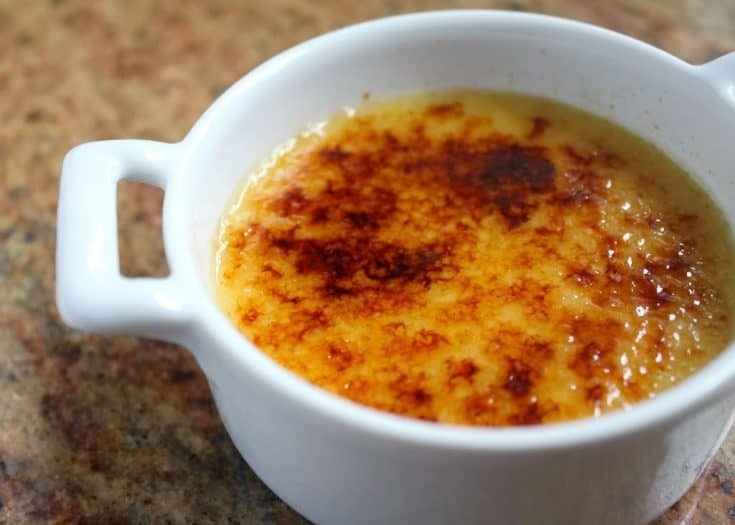 If you don’t have a kitchen torch, you will need to put on the broiler (grill, for UK peeps) for a short time to make the topping of the crème brûlée (which means “burnt cream”, in case you’ve always wondered). Do I really need to explain that it’s well worth it? Do try to use vanilla bean in this recipe as I think it really makes a big difference. 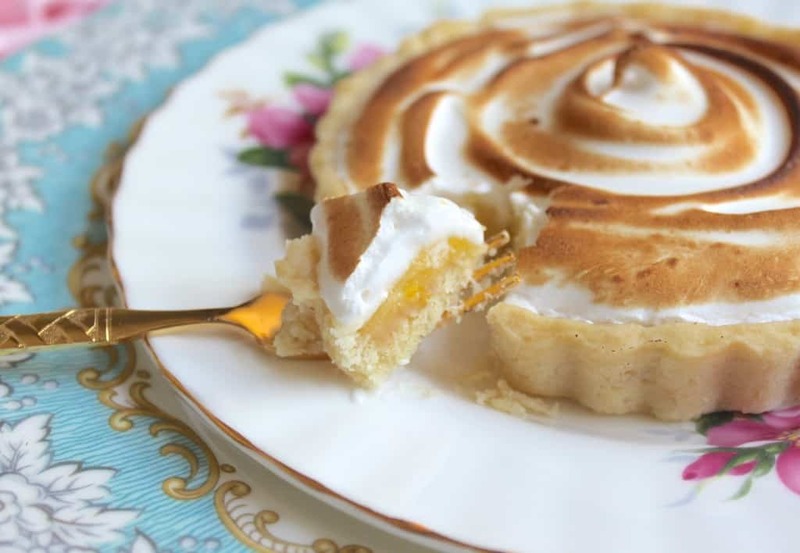 Besides the flavor of crème brûlée, the other thing I love about this dessert is that you can also make it ahead of time. 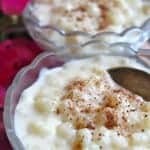 Once they are made, there will be nothing left to do except accept your accolades once the guests crack into this incredibly luscious and flavorful French dessert! 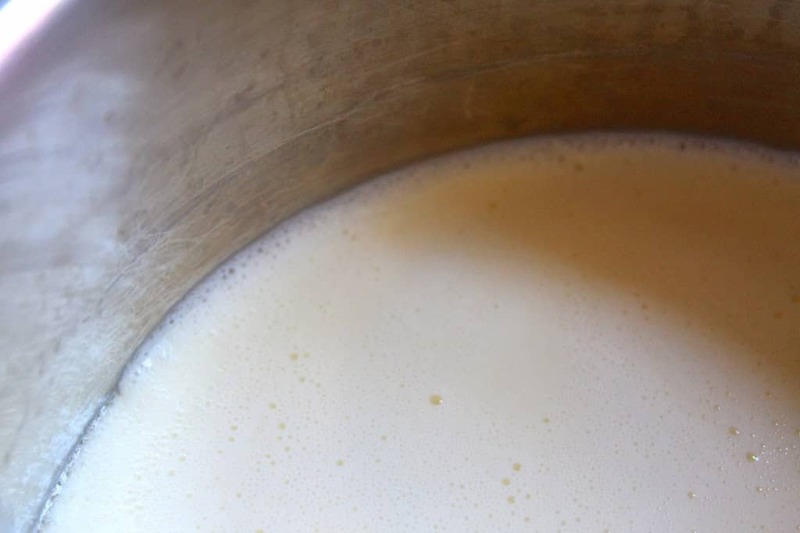 In a small pot, heat cream and vanilla bean over medium heat until tiny bubbles form around the edge of the pan. Remove vanilla bean. 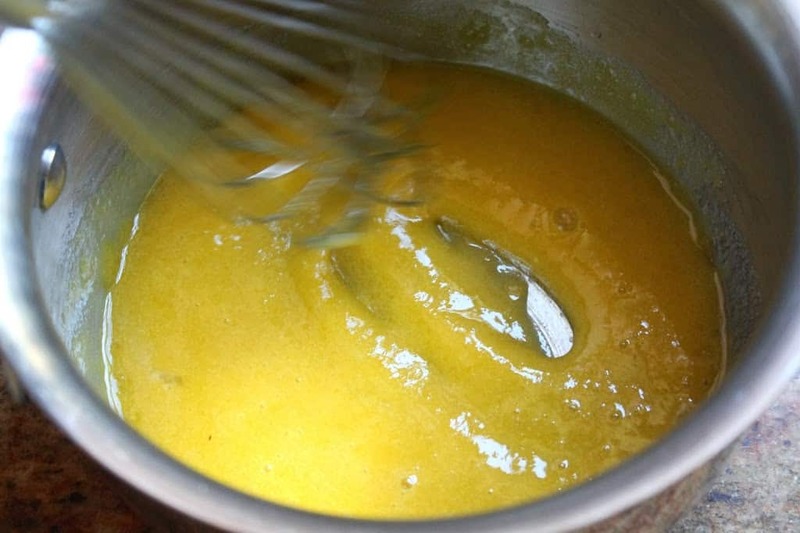 In a larger pot (off the heat), whisk egg yolks and sugar until well-blended. 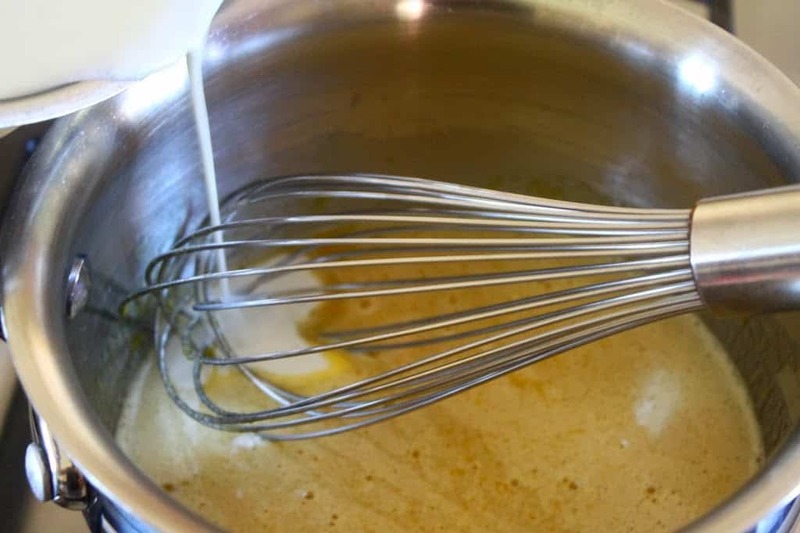 Place the pot on a burner, and cook over medium-low heat, constantly stirring until the mixture thickens and coats a spoon well, about 15 minutes (the temperature of the custard should be about 170º to 175º F, but do not boil or it will curdle). If not using the vanilla bean, stir in the vanilla extract at this time. Place a few raspberries in the bottom of six ramekins. Pour the hot custard over the raspberries; cover and refrigerate until cold, at least 6 hours. Just before ready to serve, or a few hours beforehand, sprinkle the tops of the desserts with some sugar; natural sugar (Sugar in the Raw) works best if using a torch. 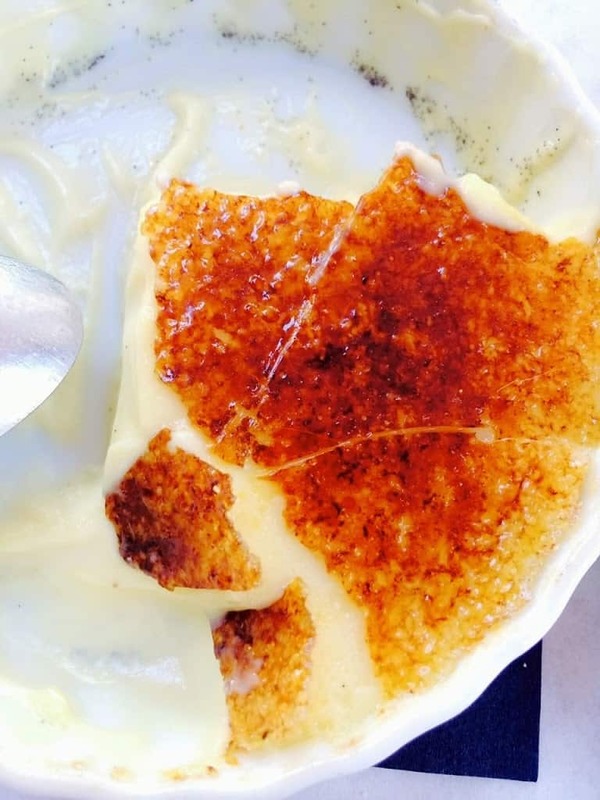 If you have a kitchen torch, heat the top of the custard to melt the sugar for the brûlée topping. If not using a torch, place the ramekins on a tray under the broiler (brown sugar works best for this method), until the sugar melts and forms a crust. It will taste just as good, but isn’t quite as pretty as using the raw sugar with a torch. Serve immediately or within a few hours (keep refrigerated) so the crisp shell doesn’t turn soggy. 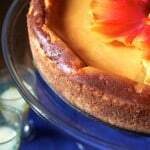 You may also enjoy this lovely French dessert! Slowly stir in the hot cream, while continuing to whisk. 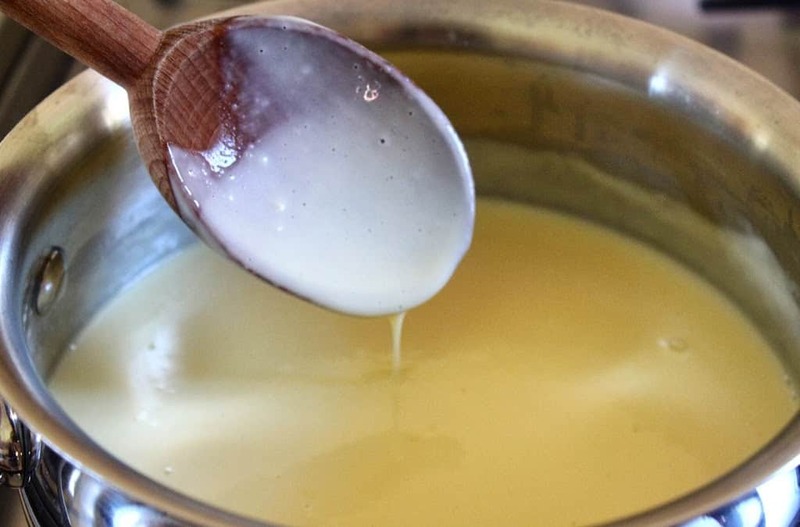 Place the pot on a burner, and cook over medium-low heat, constantly stirring until the mixture thickens and coats a spoon well, about 15 minutes(the temperature of the custard should be about 170º to 175º F, but do not boil or it will curdle. If not using the vanilla bean, stir in the vanilla extract at this time. Place a few raspberries in the bottom of 6 ramekins. Pour the hot custard over the raspberries; cover and refrigerate until cold, at least 6 hours. If not using a torch, place the ramekins on a tray under the broiler (brown sugar works best for this method), until the sugar melts and forms a crust. It will taste just as good, but isn't quite as pretty as using the raw sugar with a torch. Serve immediately or within a few hours (keep refrigerated) so the crisp shell doesn't turn soggy. How to Eat a Kumquat – The Strangely Counterintuitive Thing to do to Make it as Sweet as Candy! Hi! I am looking forward to try this! 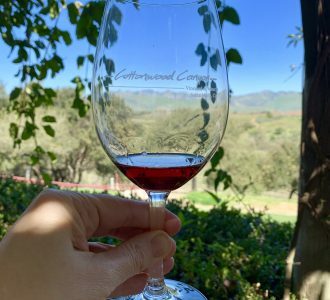 However I have some questions…..I wanted to marinate some strawberries in Cointreau and slicing them before putting them in the dishes….my concern is whether or not they would set correctly with that added liquid in the fruit. Second, I’m needing to make about 45, and my only source to chill/set them will be in ice chests! So i’m hoping to find mini foil ramekins, have them and metal baking sheets on ice to get as cold as possible, then place the strawberries in cup then pour custard and cross my fingers they will all set in no more than 2-3 hours! Any suggestions? Thank you in advance! Hi Carrie, I’m so sorry for my delayed responses, but I’m in the UK and traveling all over the place. :) Two hours really isn’t very long, but that said, if you like a gelatinous type of harder brûlée, this is not the recipe for you. This one is more creamy and not stiff, but it will set nicely and should be set after completely cooled. I’d guess you’re being more impatient, but honestly hard to say without seeing the dessert in person :) Let me know how it turned out! Hi Carrie, I honestly don’t know what would happen with the liquid from the macerated strawberries, but I would hesitate to do it this way when making 45. Can you do a test with a small number of desserts? Also not sure about the ice chest situation! Good luck! Technical terms: it’s baked in a “water bath” in the oven. Not a “Bain Marie inside the oven.” Water baths are where the cake pan/ramekin are place inside the water and baked. They’re meant to keep your custards/cheesecakes/pavé/etc from cracking. Bain Marie is where you heat water in a pot and place a bowl on top of the pot to let the steam heat whatever is inside without direct contact to the heat. Completely different techniques. Hi Lorae, I think there are many different ways of dissecting this subject and to be completely technical, a Bain Marie is a special pot. If you do a quick search, you’ll find many different ways of using the Bain Marie and water bath terms. Wikipedia uses the terms interchangeably and The Kitchn uses the Bain Marie term in the same manner as I did. Actually, Lorae, a bain marie is not a technique. It’s a piece of equipment. “Bain Marie is where you heat water in a pot and place a bowl on top of the pot to let the steam heat whatever is inside without direct contact to the heat.” In reference to the quote I’ve attached from your response, you’re speaking of a double boiler which is also not a technique. If you’re going to correct someone, please be knowledgeable yourself. Hi Franchesca, I appreciate your comment! As I am not a trained cook, let alone anywhere near a chef, I don’t have much standing when it comes to giving advice to readers like Lorae. :) Merci! This looks wonderful…but have a question..who makes the ramekins with the handles..love them! Where did you get them? thanks! Thank you so much for getting back to me! I have gone online and ordered them…but did not find them at sur le table….bought the 5 oz size. 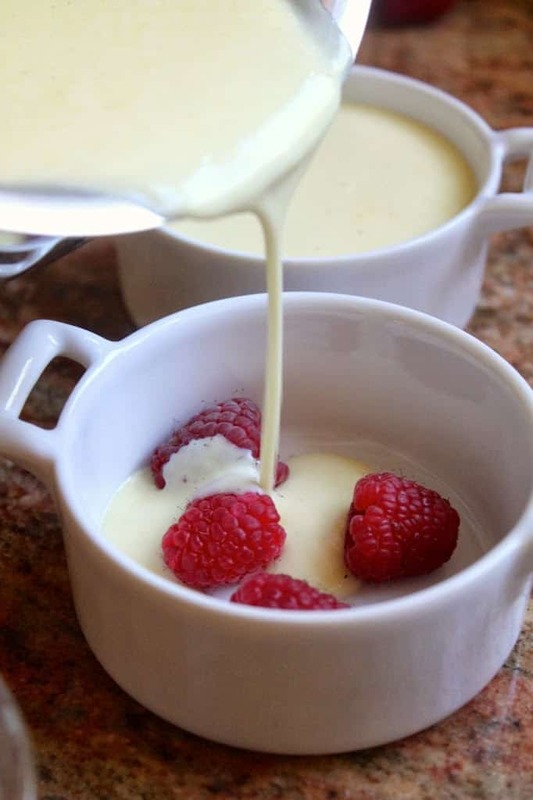 I need to get a torch, I love creme brulee, love that it’s made on the stovetop and adding those raspberries is a delicious idea a lovely surprise when you take a bite. Oh Christina this is a great recipe! 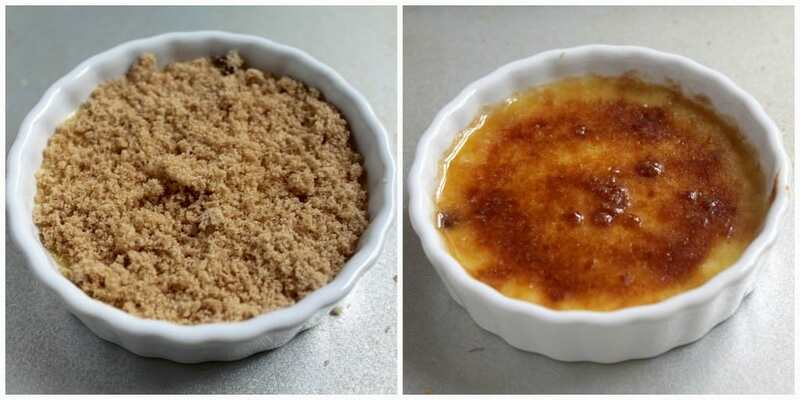 I always think that making creme brulee is so difficult.. But I am sure even I would be able to make it this way :) Thanks so much for sharing this recipe! Beautiful photo of your delicious dessert CRÈME BRÛLÉE with RASPBERRIES. 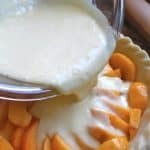 I haven’t had this dessert in many years, and now I can make it, Love the idea that you can great this on your stove top. Why is everything so delicious and have so many calories.Love your steps that show how it is to be make. You always make everything look so easy and wonderful. 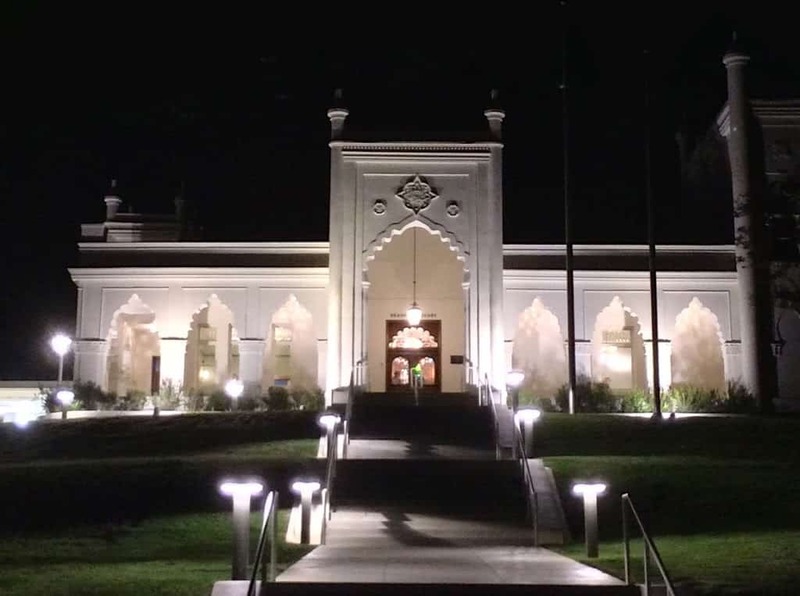 Thanks for sharing this, decadent dessert..Also, the photo of the Brand Library is beautiful! Have a wonderful weekend, blessings. Wow this looks fantastic, Christina. I love the way you embed the berries in the custard, I’ve never seen that before. I did buy a torch once, but it was a cheap one and never worked. I need to get a good one! Nope! 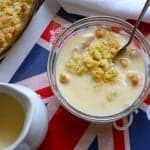 Love the crunch with the creamy!! :) Thanks, Janette!